Just exactly as I have always predicted it, that Fayose can’t eat his cake and still have it. 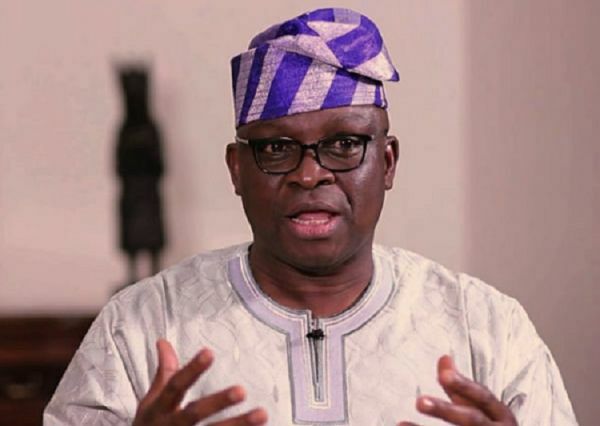 Just less than 24 hours after the INEC decalared Fayemi as the winner of the Ekiti state Gubernatorial election that held on staurday 14th of July, the EFCC already too to their twitter to anticipate the invitation of Fayose. The Invitation was based on the ground of the Ekiti Poulty project given to Fayose some years back with over 1.2 Billion Nair budget for it. 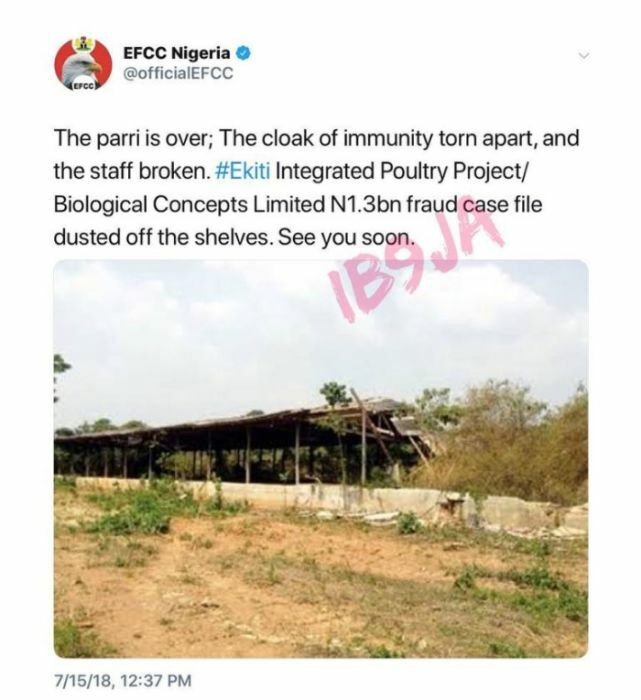 Below is the tweet from EFCC and the 1.2 Billion Naira worth poultry Fayose built. Now there is fire on the Mountain!!! !